I adore the little bow that sits so properly on the outside edge of my foot. But what I love the most about these pumps is how comfortable the 3 ½” heel. They have a seemingly crazy pointy toe. The secret is how long the shoe is. If you notice that they are longer than regular shoes, you will get that your toes stop well before the narrowing of the toe actually starts. My little piggies have lots of wiggle room. 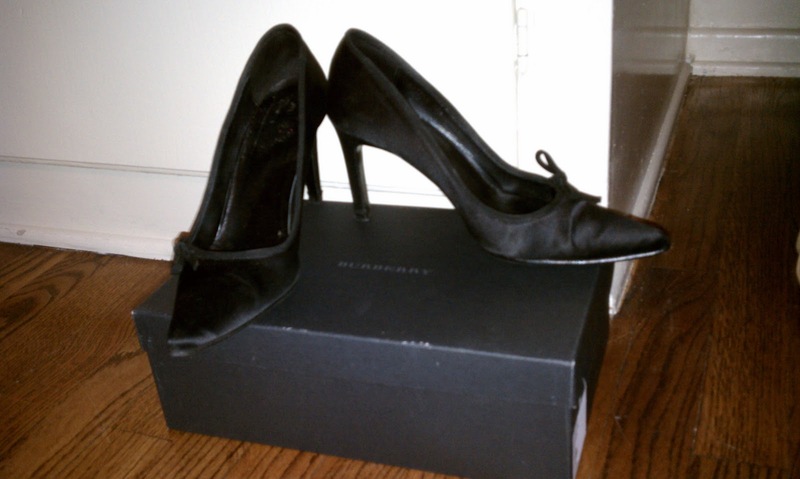 :) They really are easy to wear all day long. They don’t have a super padded insole but they are still really very comfortable. They don’t start to really hurt until about 8 hours in. Sincerely amazing. 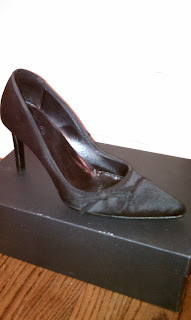 A few months back, I was wearing my delicious little black satin pumps by Burberry with my gorgeous BCBG black satin pencil skirt when I noticed that the sole of the toe had worn down to the satin. 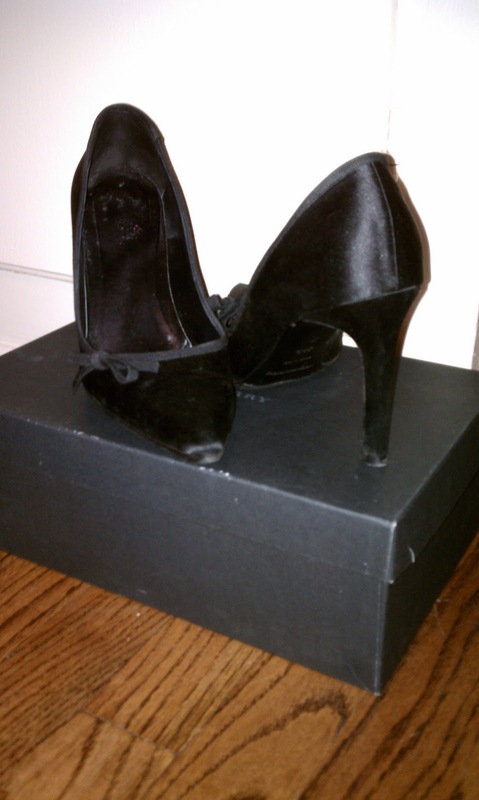 I was so distraught, I limping the rest of the day until I was able to get home and take them off immediately. 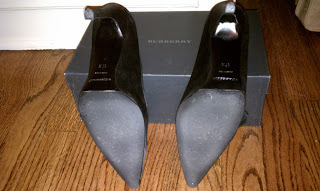 Given that I have yet to find a truly reliable shoe guy in my neighborhood, I was not about to take my beloved Burberry’s to any of them untrusted. I decided to try to take them to Burberry directly and have them repair them. I was ready to pay for any repair costs to restore my little sweet peas back to their glory. I dropped them off and kissed them excited that next time I’d see them, they’d be good as new. @TheFashionisette- I'm in fab company with you Doll!